The Mikki Matt Breaker is available as a kit with replacement blades or as a single Matt Breaker with Easy Grooming handle. Use short strokes to cut gently. With very dense matts it may be necessary to rotate the wrist to produce a sawing action. When clearing a matt try to hold the hair at the root to avoid pulling the skin. Work from the roots towards the outer ends using short strokes. 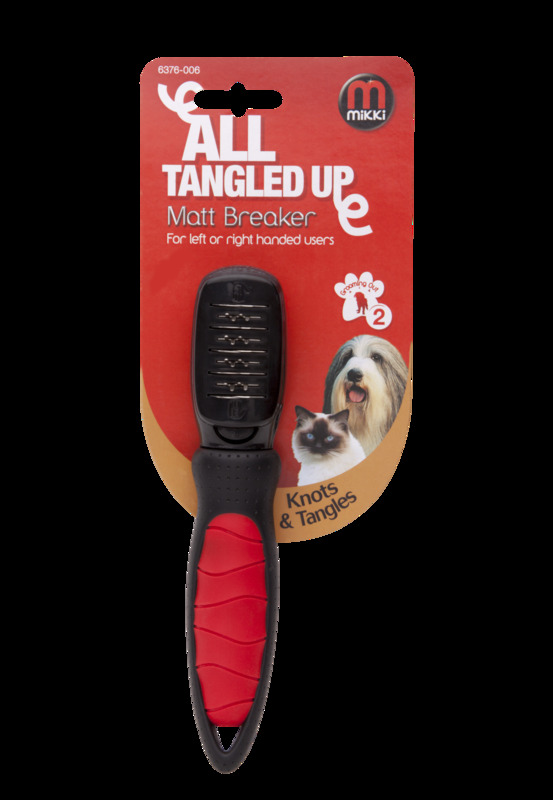 When passing the Matt Breaker through the coat in long strokes keep it parallel to the skin and avoid plucking upwards. There are currently no questions for Mikki Matt Breaker - be the first to ask one!